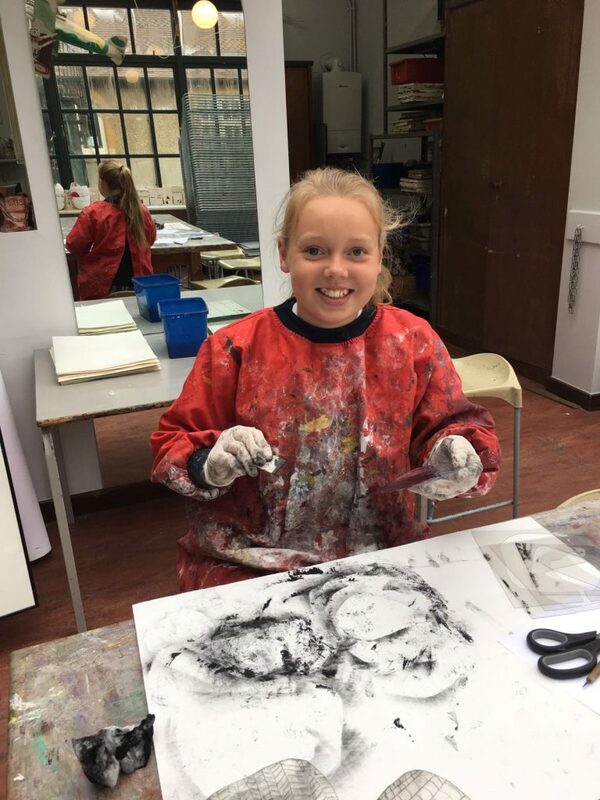 The Arts are a vital part of school life at Edgeborough and our pupils have the opportunity to express themselves creatively though a huge variety of art and design classes. 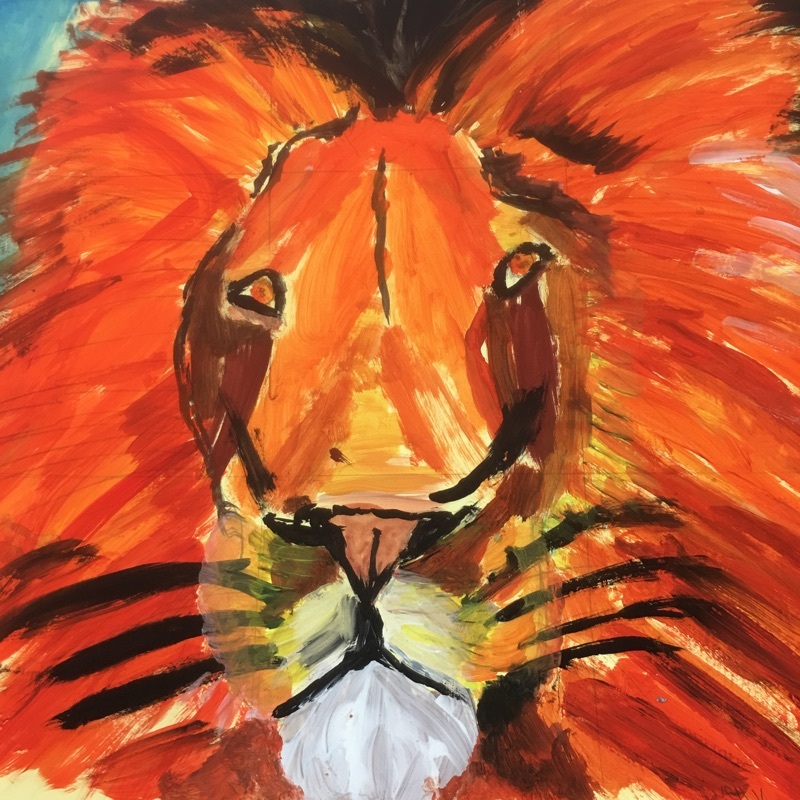 This creative cross curricular subject serves to build resilience in pupils as they learn from their mistakes and solve problems as they work through a project both individually and as a team. All of our teachers are subject matter experts, and are often assisted by visiting artists. We promote creativity by making it as interesting and exciting as possible and by incorporating it into our very rich curriculum. 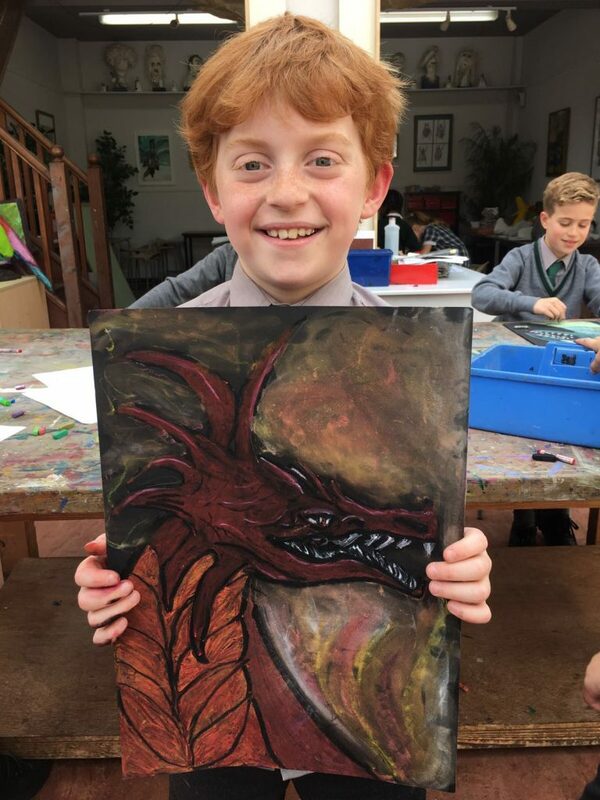 The Art Department at Edgeborough aims to offer a creative and supportive learning environment for all pupils regardless of their natural ability. Throughout the school, pupils are encouraged to express their ideas and opinions, discuss and justify preferences and apply such understanding to work of their own. Projects on a yearly basis include stop motion animation, studying the work of artists both past and present, ceramics, felting, sculpture making and printing. Pupils also play a role in painting scenery and sets for the various productions put on by the Drama Department throughout the year. 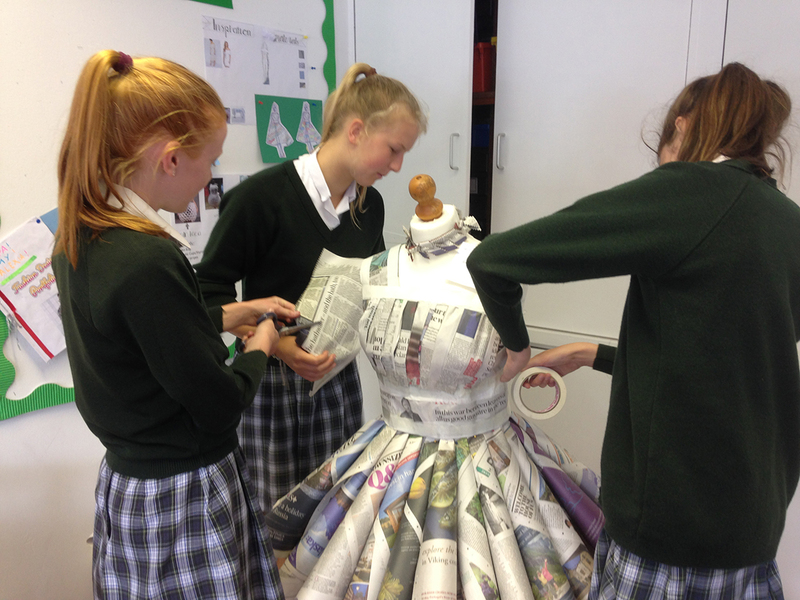 The Art Department is an open space that welcomes pupils who want to explore their creative side. The topics covered in each year group are fun and innovative, inspiring pupils to get involved. 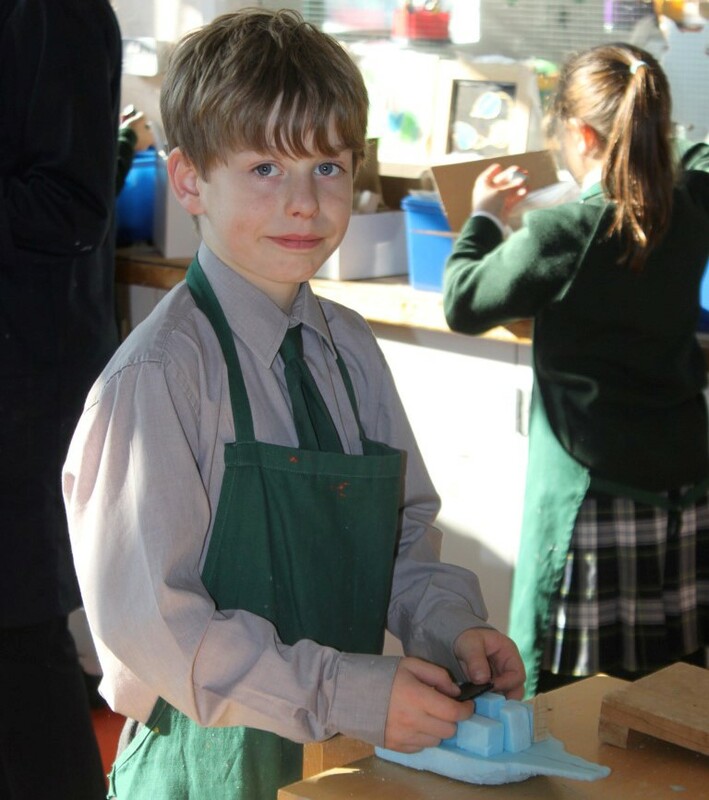 Over the last 12 months pupils were able to bring home work such as clay houses, Harry Potter style magic wands and Roman pots among lots of others brilliant creations. Design Technology is the coming together of logic, creative and practical skills. This is the opportunity for children to use their number skills and apply those experiments in Science to design creatively. Transferable life skills such as planning a project or evaluating an idea often emerge as the learning outcome. This cross curricular subject serves to build resilience as pupils learn from their mistakes and solve problems as they work through a project. Children have a weekly session in Design Technology from Year 3 upwards lasting 60-80 minutes. In our lessons we cover the main aspects of the subject; Product Design, Mechanisms, Textiles, Structures, Electrical systems and Food. Years 3-5 will cover the above aspects at least once in the Junior Part of the school. They learn through a series of focused tasks e.g. using a hand tool, the basic skills and knowledge they will need to design a product in each of the strands of Design Technology. Each project will be introduced with an intended user and a context which will tend to be home or school for the younger pupils. Typical Project brief Year 3-5: · Design and make a novelty torch to amuse a younger sibling Years 6-8 will progress to complete more complex tasks e.g. the safe use of power tools to design and make their products. The intended users will cover a wider range from the community and the contexts will be more varied. Typical project brief Year 6-8: · Design and make a Shelter to keep people safe in a War torn country overseas. Pupils who excel and show good potential in Design Technology are encouraged to enter for Design Technology Scholarships at a range of Senior Schools. In recent years our pupils have had success in several Senior Schools.